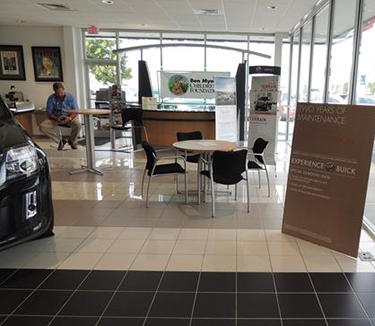 A clean, sparkling auto dealership showroom, offices, snack area and service department play a role in how customers view your business and the brands you sell. Everything needs to look shiny and new. Imagine shopping for a new (or new-to-you) vehicle at a dealership that doesn’t maintain its floors, windows or restrooms properly. A janitorial cleaning service with professional experience in cleaning car dealerships can help support your sales efforts. Thorough dusting and disinfecting, attention to glass cleaning, exceptional floor care and restroom cleaning and trash removal are top concerns. Coastal Cleaning will customize a cleaning schedule based on your dealership, business needs and budget to help create a positive image in the competitive car sales market. Auto Dealerships depend on the cleanliness of their showroom, offices and service areas to help impress customers as they make sales and operate a successful business. Frequent dusting and disinfecting, vacuuming, mopping, thorough restroom cleaning and trash removal are requirements of an auto dealership cleaning service. The cleaning needs of a car dealership include glass and window cleaning, exceptional floor care, and meticulous attention to detail.